Are you ready for the Fall 2017 semester? We know how much can be going on in your head when you pack, so we’ve put together a list of things that you should remember to bring with you – especially if you’re planning to look for a job, research or volunteer position, or internship! If you want to work on or off campus, you’ll want to make sure that you have any documents you might need during the hiring process. This normally includes your original birth certificate and social security card; passport, driver’s license, or other government-issued photo ID; and visa documents, if you’re an international student. Also, if you were awarded the Federal Work Study, or FWS award, make sure that you accept the award on OASIS before applying to jobs. Some organizations also require that you have health check-ups or tests done before you can work, so be sure to bring any insurance information, and have your shot records up-to-date and forwarded to your local doctor’s office. It’s also good to plan to bring a fireproof safe to keep these documents locked up and out of harm’s way! Make sure to remember to pack any prescription medications, and be sure to have extra supplies in case it takes you a while to see a local doctor and get your prescription filled close to USF. Just like your insurance information, be ready to pass any of your current prescription information on to your local doctor. Even if you’re not looking for a job or internship, you never know what might come your way! It’s good to be ready for any situation, so pack both business casual and business professional attire in your suitcase. Who knows? Maybe you’ll interview for the perfect research position, or you’ll have to dress up for an in-class presentation! Don’t have business appropriate attire? Don’t stress! Visit Suit-A-Bull, the on-campus business attire lending closet, and borrow clothing for free. Details about Suit-A-Bull, including their hours, can be found here: http://www.usf.edu/career-services/students/suit-a-bull.aspx. Don’t be that one guy who always borrows their neighbor’s pen and then writes on themselves because they forgot their notebook too! Stay on top of your semester by making sure you have everything you need to succeed before you get to campus. Plus, if you start working, you’ll have all the office supplies you’ll need for your first day on the job. Pro tip: You can pick up a free USF planner at the MSC. Just bring your USF ID Card. Remember, residence halls open on Thursday, August 17 for the Fall 2017 semester. If you haven’t started packing, you still have some time! Once you get to USF, meet up with Career Services at our 4th Annual Career Kickoff Cookout on Thursday, August 24 near the Student Services Building, and at the Part-Time Job Fair on Thursday, August 31 in the MSC Ballroom. 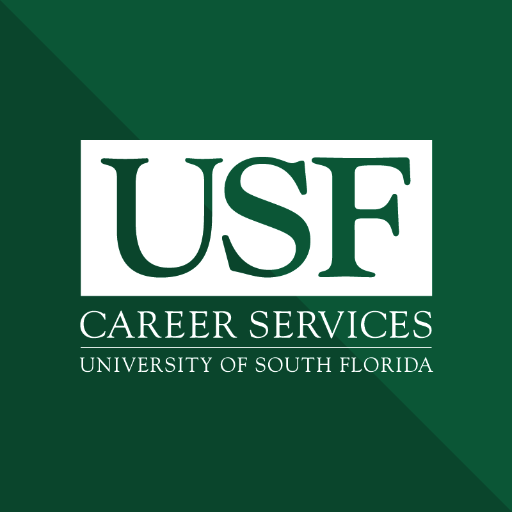 Get more details at http://www.usf.edu/career-services/. For more things to check off your packing list, please visit www.usf.edu/student-affairs/housing/residential-experience/moving-in/fall.aspx . You’ll also find important information about parking, dining, and on-campus mail at this link. Ready to Gain the Professional Edge? Thank you for your interest in recruiting USF students and alumni for internships, part-time, and full-time employment opportunities. We invite you to check out posts tagged “employers” for news and information just for you! And for all the latest about our programs, services, and events, visit our Employer Relations website at: http://usf.edu/RecruitUSF! We’re glad you’ve found our quiet little piece of the Internet! Our goal is to share information you can use as you navigate life at USF and prepare for everything that comes next – whenever that may be! Remember, more information is available on our website over at www.career.usf.edu.